Print the PDF below on your printer at 100% scale. We recommend printing on 65 lb. paper or card stock if possible to provide a more sturdy gauge, however, standard paper will work. Carefully cut out the fitting gauge following the shape of the gauge as closely as possible to provide an accurate tube fit. Place the gauge over the appropriate ear as shown in photo below. 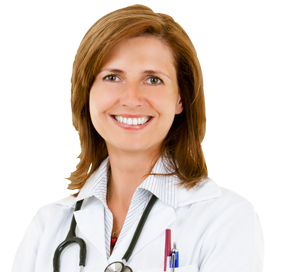 The number that is level with the top ear canal opening indicates correct polytube size. Proper tubing size selection will ensure a snug, but comfortable fit that retains its place in the ear. 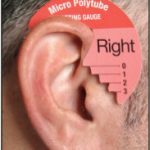 Example for proper placement of the Micro Polytube Fitting Gauge on the ear. Photo at left demonstrates a #2 polytube would best fit this ear. Please call our Customer Service Dept. for assistance using the fitting gauge at: (800) 824-3021.